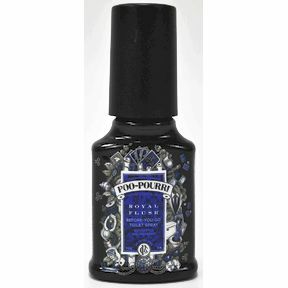 Poo-Pourri Royal Flush 2 fl. oz. 2 fl. oz. pump spray bottle. A Before-You-Go® Toilet Spray that takes the odor away! Made with a blend of Eucalyptus, Spearmint and Natural Essential Oils. No Parabens or Phthalates. Up to 100 uses!